Day 1 of PTC6 in Poland kicked off today but today we mainly focus on the confirmation of 16 Masters spots in January! 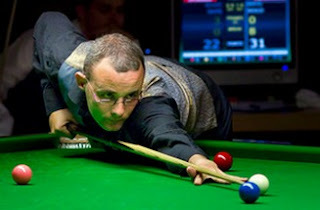 Martin Gould will make his first appearance in The Masters next January as he ranks number 16 in the coming cut-off point. The 30-year-old makes his world rankings getting into the top 16 for the first time in his career despite his unexpected defeat to Liu Chuang 3-4 in the first round today - Mark Davis who was a few points behind failed to win three matches today in order to overcome Gould for ranking number 16 for the first time. Number 16 means that The Pinner Potter will be automatically seeded in December's UK Championship, Germany Masters in February and indeed the Masters. "I would love to play at the Masters because I've always considered it one of the biggest tournaments, and it's my home event as I live in London. It's for the elite players and it's all about prestige. I've watched it from a distance for a long time so to play in it would be fantastic." World Number 14 Stephen Lee and Number 15 Matthew Stevens will make their return to the Masters this year. As you know Lee and Stevens are great players who topped in the world rankings in the past before dropping out of top 16 in 2008 and 2007 respectively. I am pleased to see both of them returning to the elite top 16. Lee was the runner-up of the Masters in 2008 and even Stevens won the title in 2000. Big congratulations for their effort! The fans' favourites Ronnie O'Sullivan who has secured his Masters spot as well as Judd Trump will appear in Alexandra Palace in January. However, seven-times world champion Stephen Hendry will be out of the Masters since 1987/1988 season. Back to the actions of the boys in Poland: Impressive Chinese player Chen Zhe won the decider against Rory McLeod coming from 0-3 down, the defeat costs McLeod out of top 32. 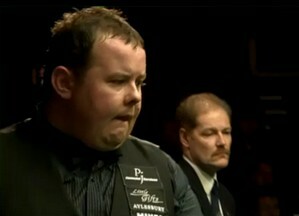 Chen's run is ended by Mark King in the last 32. Judd Trump safely landed in the last 16 on Sunday after winning the serious challenge from China's Tian Pengfei in the second round. Steve Davis who played with a new cue accidentally (his cue went missing on the flight) still managed to enter the last 16. Jack Lisowski will return on Sunday to battle for a quarter-finals spot after winning his TV match against Stuart Bingham in the second round. Stephen Lee, Liang Wenbo, Matthew Selt, Liu Chuang are the ones among who continue their journey in Poland on Sunday.